Many people find ways to generate more income. And one of these easy ways for them is investing in tax lien certificates. Different from house flipping, which demands the investor to front initial buying and reconstructing costs – tax lien investment may generate lower initial earnings on some buys, but it is definitely a risk-free investment opportunity. Investing in tax lien certificates is totally different as buying the property instantly. When buying a tax lien certificate, the investor is paying the outstanding tax bill at the auction for the landowner, with the promise of being paid back, in a timely manner – of course, with an interest. If the landowner can acquire the funds necessary to purchase the lien back, the investor not only helped a landowner save his property from foreclosure, he also makes a small profit on the interest the transaction yields. And if, the property owner neglects to pay the lien certificate owner back within the specified schedule, then the lien owner may take possession of the property and either sell it during an auction; do some fixing and upgrades and sell it on the real estate market; or just sell it as is to a real estate investor. Getting property in this way is risk-free considering that many of those tax lien certificates are bought for a fraction of the value of the property. *Make certain that the property is worth more than the taxes owed. Inspect the property and check to make sure it is a profitable buy. *Have cash on hand when going to auctions. 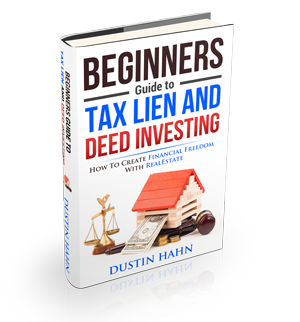 Tax lien auctions need the full purchase price in cash or if not, a certified bank draft. *Know the rules of purchasing lien certificates in a specific county. Remember, every county has their own individual laws determining the sale of tax lien certificates and the acquisition of property.